Across the galaxy, the Empire chokes out the last fires of the Republic, smothering freedom wherever they can find it. Yet a noble Rebellion has arisen to combat the Empire, and new heroes are born every day—entering the ranks of the Rebel Alliance and doing their utmost as pilots, soldiers, saboteurs, and diplomats to bring the Emperor’s tyrannical reign to an end. The legends that these heroes forge are now yours to play. 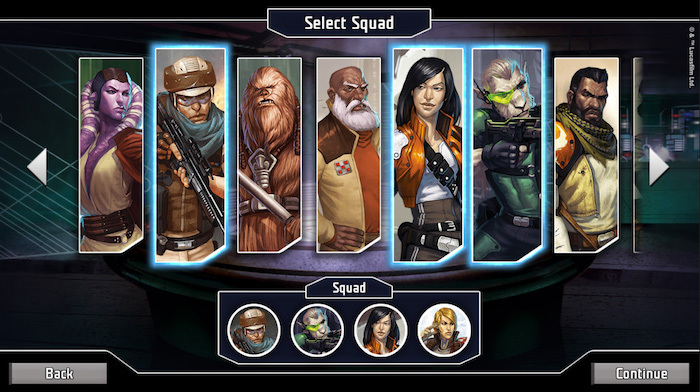 The Legends of the Alliance companion app for Imperial Assault is now available for download from the App Store, Steam, Amazon, or Google Play! From the very first days of the Imperial Assault Core Set, players have been launched into the Star Wars galaxy, playing out the thrilling missions of the game’s narrative campaigns. 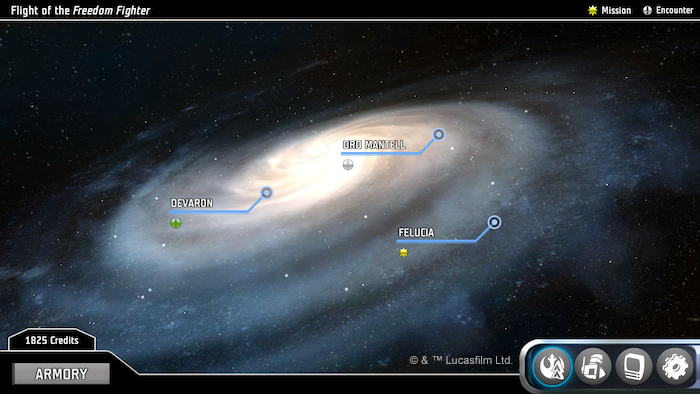 These campaigns have continued through expansions like Twin Shadows, Return to Hoth, The Bespin Gambit, Jabba’s Realm, and Heart of the Empire. Though these campaigns took you to every corner of the Star Wars galaxy, there was still a common thread. In every campaign, up to four players took on the roles of Rebel heroes, battling a single Imperial player who commanded the forces of the Empire arrayed against you. Now, with the Legends of the Alliance companion app, you have the chance to unite with all of your friends in a cooperative campaign. The Legends of the Alliance app takes over all of the functions once performed by the Imperial player, freeing you to experience entirely new campaigns in a fully cooperative environment with your friends as you fight side by side against the Galactic Empire! At the beginning of each mission, the Legends of the Alliance app tells you exactly which tiles to place, what objective tokens, supply crates, and doors to lay out, and which Imperial figures to place at the beginning of the game. The app invites you to explore the Star Wars galaxy like never before, because when playing with Legends of the Alliance, you won’t know exactly what you’ll find behind every door. Unlike in the traditional campaign or the skirmish game, when using the Legends of the Alliance companion app, you won’t place the tiles that lie hidden behind doors at the beginning of the game. Only when one of these doors hisses open for the first time will you see what your hero sees—the pristine, forbidding corridors of an Imperial base, the back room of a cantina, or an Imperial ambush waiting for you! 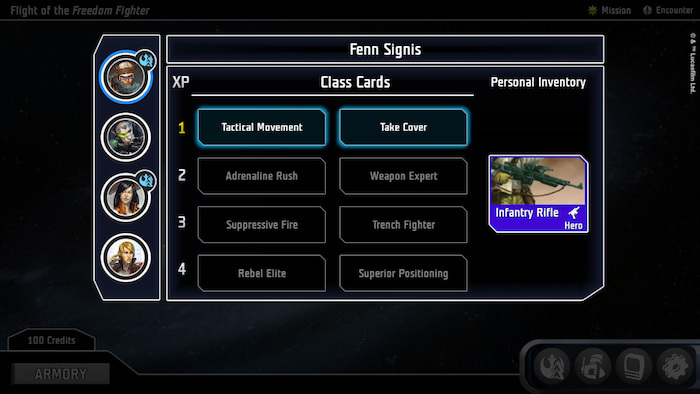 The Legends of the Alliance app also takes command of all the Imperial forces arrayed against you. 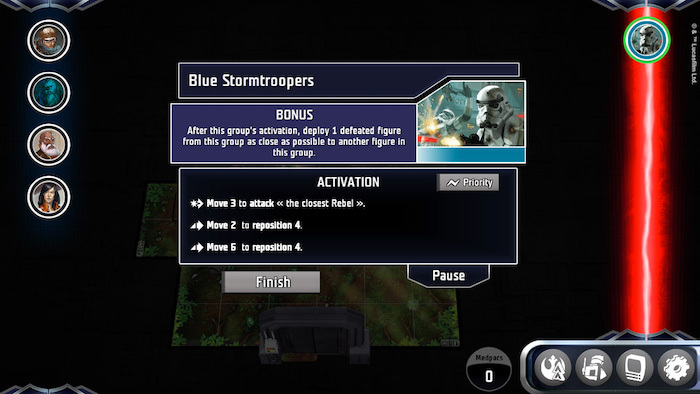 As in the traditional campaign, you and the Imperial forces will alternate activations, but whenever it’s the Imperial turn, the app will select which unit to activate, bestowing special abilities on that unit and devising cunning tactics. You’ll find that every unit you encounter features distinctive tactics. The Royal Guards protect weaker figures and use their force pikes to deadly effect. Imperial Officers cower behind their allies, and deliver orders to send other combatants racing forward. Stormtroopers dash out of cover, fire, and then retreat. Every new unit that you face is a new challenge for you and your friends to overcome together. 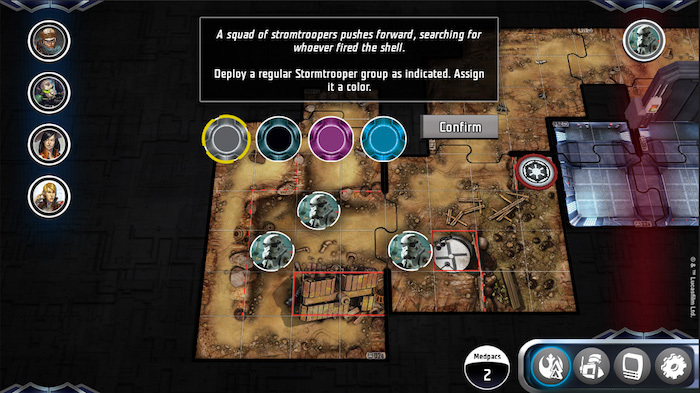 The cooperative campaign for Imperial Assault using the Legends of the Alliance app offers new worlds to explore—starting with a tutorial and a full-length, five-mission campaign: Flight of the Freedom Fighter. This campaign casts you straight into the tumultuous aftermath of the Death Star’s destruction above the Rebel base on Yavin 4. The Empire’s retaliation is in full swing, and you must help the Rebels escape from Imperial clutches as you launch a new adventure across the galaxy. Just as in the traditional campaigns for Imperial Assault, you’ll have the chance to upgrade your characters and purchase new weapons, armor, upgrades, and gear between missions. The Legends of the Alliance app automatically tracks all XP and credits that you earn over the course of your adventures—as well as the class and item cards that you choose to buy, ensuring that you’ll never need to dig through your collection to find the cards that you’re using. Become a hero of the Rebel Alliance—together with all of your friends. 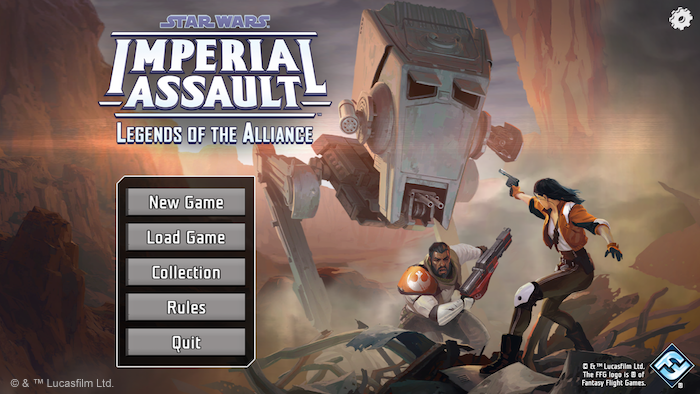 Enter the Star Wars galaxy, and download the Legends of the Alliance app for Imperial Assault from the App Store , Steam, Amazon, or Google Play today!